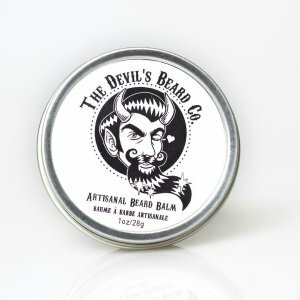 I have been using The Devil’s Beard Co Beard Balm from AstroCakeNaturals who are based in Edmonton, Canada. This balm has a beautiful quality, I have used balms that have used all natural products before but this balm felt natural, I hope that makes sense, it’s hard to explain. The initial scent is of Cinnamon and then you get a subtle citrus scent. It’s made from Virgin Coconut Oil, Avocado Oil, Sweet Almond Oil, Vitamin E Oil and Organic Beeswax with Sweet Orange and Oil Cinnamon Leaf Oil. This balm left my dry, wirey and wayward beard feeling so soft and it kept it under control and looking good, I have been so impressed with this product and it gets filed under my favourites. I would love to see some different scents of balm from AstroCakeNaturals as I think they would prove very popular. Likes creepy things, pretty things, when things are pretty and creepy at the same time, heavy metal, goth rock, punk rock, hello kitty, new wave, dark wave, cuddly things, and being the little spoon. Likes cooking for a living, punk rock, oi, comic books, his children, and his girlfriend.